Remember when you were a kid and after school you would get home and your house smelt like the Pillsbury dough boy was just there? 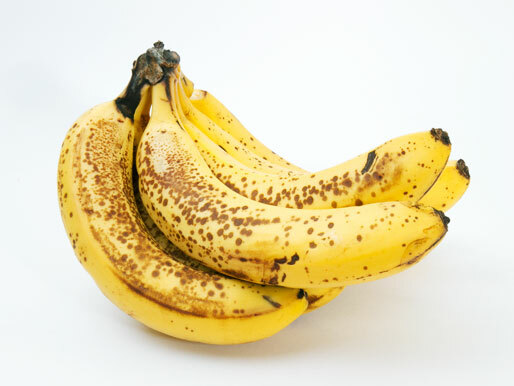 I always loved those days, especially when the scary looking bananas that were on the counter that morning were now gone. 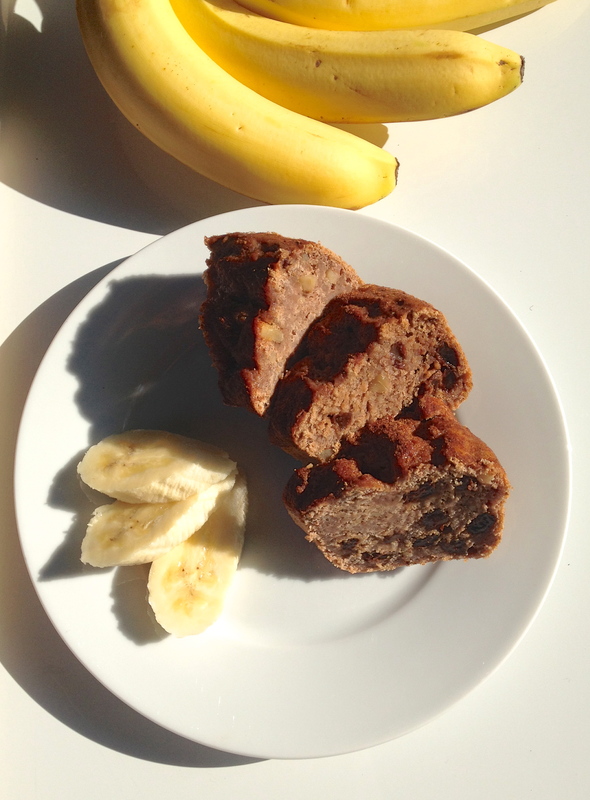 Because nothing makes a better after school snack then scary looking bananas that have morphed into Banana Bread. But like so many other recipes before it, I now had to reinvent the wheel… again. And if I’m being perfectly honest, not every recipe welcomes gluten free flour and tapioca starch with open arms. Plus I find with banana bread my standards seem to be pretty high, everyone has had it, and everyone seems to have “the best” version. Kind of like Christmas dinner, everybody claims to have the best stuffing or knows the best way to cook a turkey, but you haven’t tasted Christmas dinner until you get stuffed at my house. We have a few Christmas dinner tricks up our sleeve, for one you need to cook the bird upside down, that way all the delicious juices from the dark meat just roll on into the white meat. You could even throw in a ½ cup of dark chocolate, that’s like the platinum gems of bedazzled. First preheat your oven to 350, next we are going to heat up our coconut oil that way it has a chance to cool slightly. 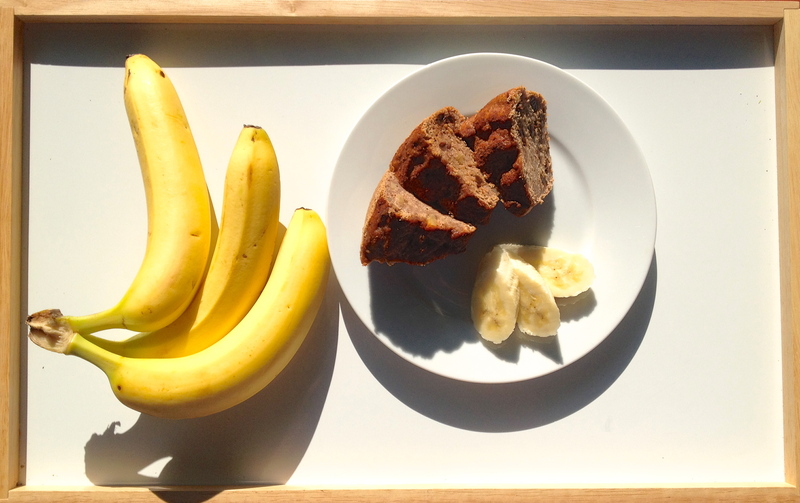 This is always important to remember when dealing with recipes that have eggs in them as we don’t want scrambled eggs in our baked goods, but this banana bread is vegan so no eggs needed. Next you are going to mash up your bananas in a large mixing bowl with the honey, cinnamon and cooled coconut oil then set aside. In a separate mixing bowl you are going to combine all of your dry ingredients along with your bedazzled extras; walnuts and raisins (chocolate if you’re making the platinum version) then combine with your wet ingredients. I like to get my hand mixer out for this part because like I’ve said before in previous posts adding a little bit of air into the mix only helps to make your baking lighter believe it or not it will actually help with the rising. At this point you also want to slowly add in your water. Pour the batter into a greased loaf pan of choice then dust the top with cinnamon and swirl on another tablespoon on honey. You’re going to bake for 40 – 45 minutes and then do the knife test, if it comes out clean the bread is done, if not back in the oven for probably another 3 – 5 minutes. Allow to cool completely before you try to cut into it, believe me you should wait or it is a banana bread mess. Can’t even count the # of times Alexis has brought this to me, wrapped in tinfoil and still warm. The banana bread and the chef are THE BEST!